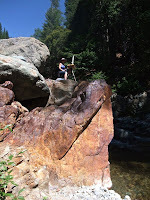 I don't recall how I originally stumbled upon Bill Cone's blog, must have been one of those "one link leads to another" adventures, but when I saw his landscape paintings I was blown away. 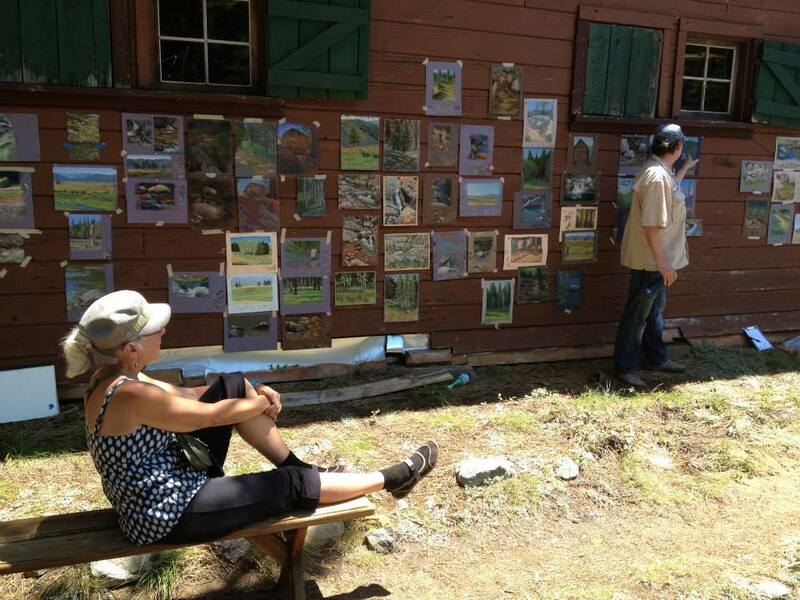 His popular one-week plein air workshop in the Sierra Nevadas fills up almost immediately and although it took me more than a year to get in, I am happy to report that Pastels and Natural Light at the San Francisco State University Sierra Nevada Field Campus was even more than I'd hoped for. 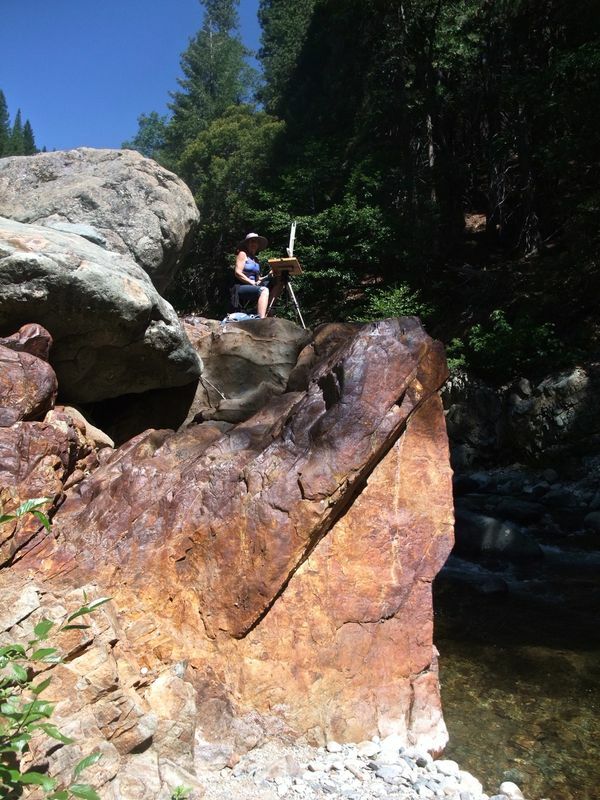 I joined thirteen other students--our ranks included architects, animators, and graphic artists, most of whom live in the Bay area--for five full days of painting meadows, rivers, lakes, mountains, and rocks (my personal favorite.) Our experience included camping, swimming, and hikes loaded down with plein air gear; my pack weighed about 35 lbs. (Note to self: lighten up!) 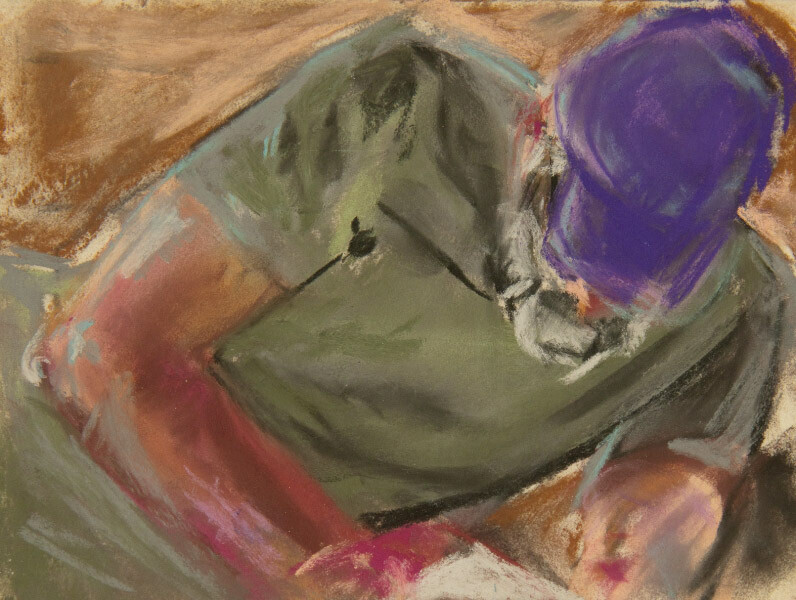 At the end of the day we looked forward to a hearty, delicious meal prepared by staff, lively conversations, and a sound sleep from all the fresh air, exercise, and focused concentration on our painting. 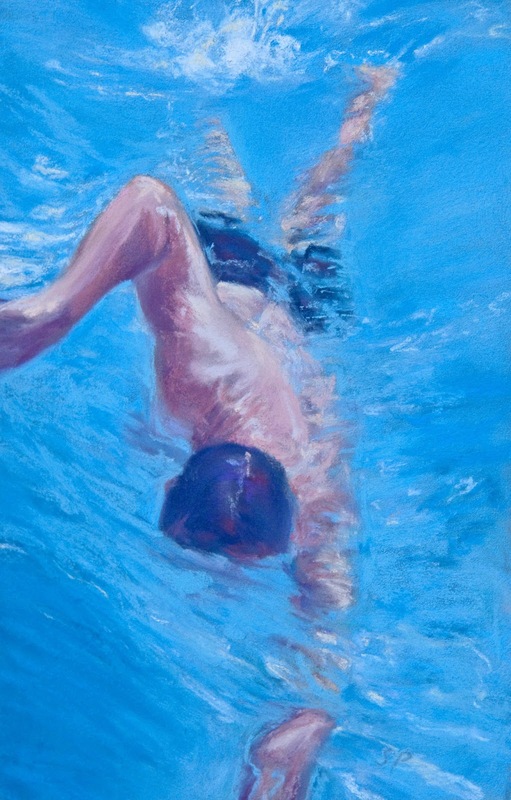 Bill taught us more than I could comprehend about painting water: surface, reflections, depth, rocks on the bottom and their shadows, what to look for where rocks emerge from the water...it goes on and on and yes, he says, he actually is planning to write a book about it. I can't wait to go back again next year! By day Bill works at Pixar. 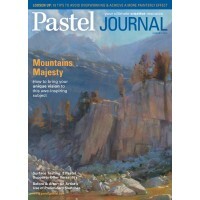 His work is featured on the cover of the August Pastel Journal. ...is my husband, Alan. 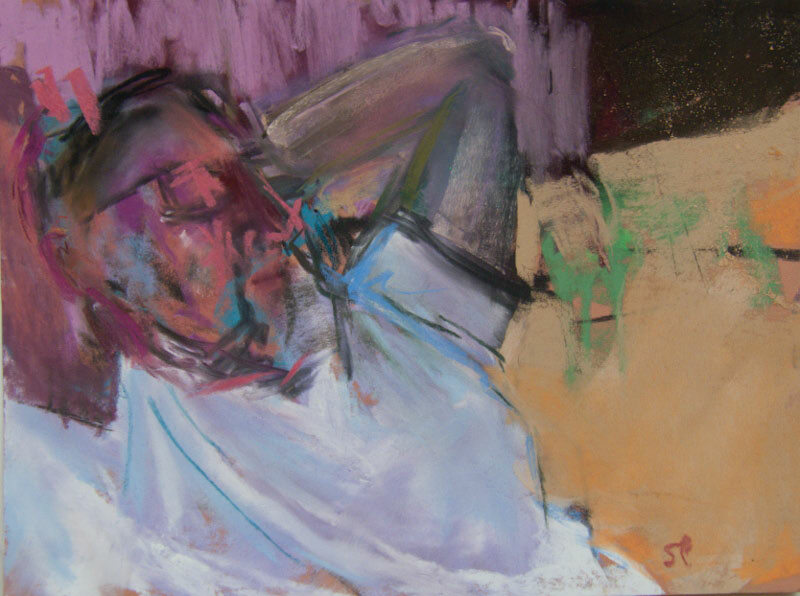 Whenever I need a subject to paint, he's willing--and he holds long poses without complaining. He tells me I'm a good artist, encourages me to work, helps me get ready for shows, and listens to me talk about colors and shadows and techniques and workshops. 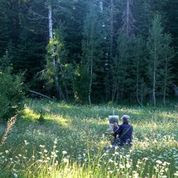 He cuts the mats and does the framing, photographs my work and loads the images into Photoshop. He helps and supports me in every possible way. July 19 is his birthday. Happy birthday, Al! I love you! A new friend + good weather + lavender = a great paint-out! July means lavender's in bloom, and although I'm not participating in the Oregon Lavender Festival this year I didn't want to miss an opportunity to paint at one of the featured farms. 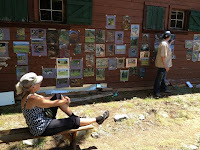 Fellow pastelist Debbie Robinson and I have gotten to know each other at a couple workshops and decided to meet up for a day of plein air painting at Red Ridge Farms. What a beautiful location, and it even has an olive mill! It's larger and more developed than some of the other lavender farms and we had plenty of great scenes to choose from. That's half the battle--deciding what to paint! We started in the same location facing different directions, and then a couple hours later moved to new spots. As the day progressed the sun got too hot for comfort so we decided to finish up back in our studios. Come winter when the Oregon rains return, I'll pull the memory of this beautiful day out to warm my soul.